This hut, which is usually known as Price(s) Basin, is located on the TL of the TR branch of the Price River a major tributary of the Whitcombe River. It's in a basin that needs to be accessed by tops routes because lower down the Price River has a waterfall and an impassable gorge. The hut is an NZFS 1960's four bunker. There is no open fire or stove. Prices Basin Hut • By major. Licence: C.
There is tops access from the Whitcombe & various tributaries, Ivory Lake hut in the head of the Waitaha and a couple of the Mikonui tributaries. 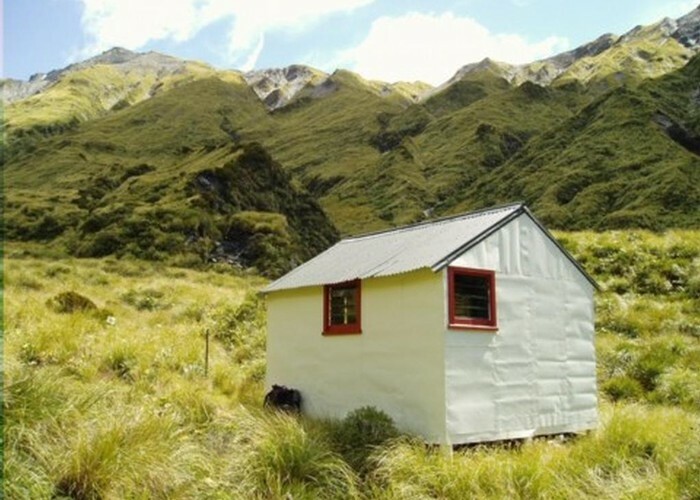 The Permolat/Remote Huts Westland website has more detailed route & access information. Added 28 March 2011 by glennjglennj. 2 revisions, most recently 11 July 2011 by glennjglennj. 134 views in the past year (11 per month).